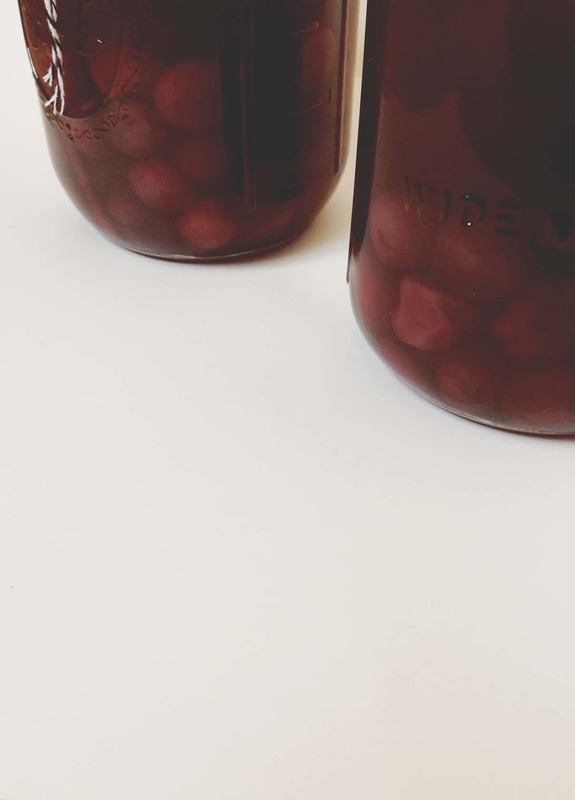 A taste of history, Cherry Bounce is Martha Washington’s recipe for homemade spiced cherry whiskey liqueur that is perfect for summer sipping or winter holiday pours! I’m doing something a little different for this week’s Friday Night Delight. 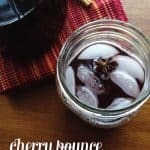 Today I’m sharing a recipe for Cherry Bounce. I’ve never made it before, partly because of the time involved. (It can take up to six months to make!) Then I realized how selfish it would be to keep this recipe to myself while cherries are in season. So, here you go. Cherry Bounce is an old, old libation. Like, 1700s old. According to The Wall Street Journal, even the first first lady, Martha Washington, used to make it. Cherry Bounce, a homemade cordial made with a cherry harvest, played an important part in the founding of Raleigh, N.C. as it was the liqueur of choice among the legislators who planned the capital city, according to the Raleigh Public Record. It’s a very American drink with a lot of history. 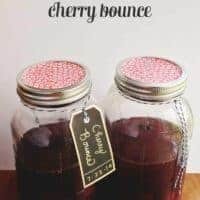 Cherry Bounce can be made lots of ways, but it primarily involves fresh cherries, sugar, spices and an alcohol such as whiskey, brandy, vodka or rum. Martha Washington’s recipe called for 20 pounds of Morrella cherries, 10 quarts of cognac and sugar and spices to taste. In mine, I also added star anise, cinnamon sticks and whole cloves. From what I sampled of the cherry mixture I made, it’s going to be amazing. I will post again when I open my jars and let you know how it turns out! 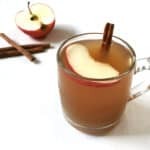 Though I’ll have to wait a while, it will be wonderful to sip during the fall and holiday season. 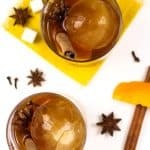 And if you need a cocktail to make tonight, be sure to check out the cocktails archive — lots of options there! 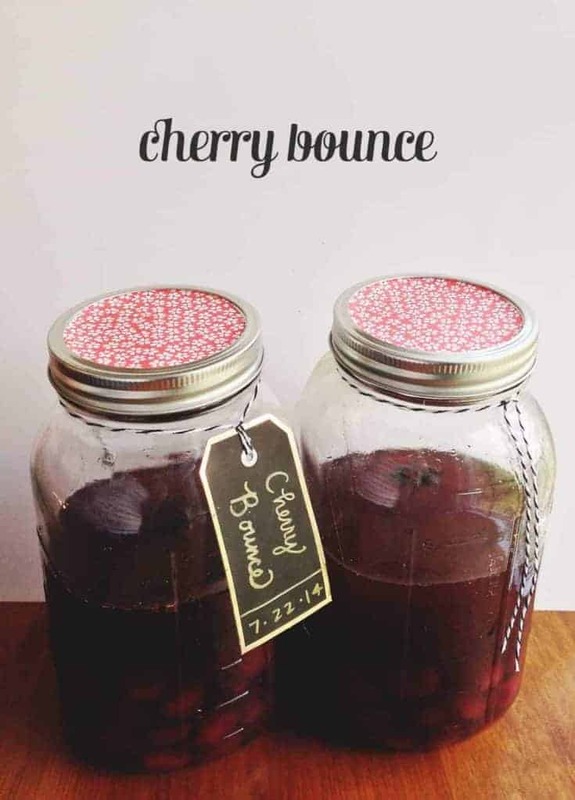 Click below to see how I made Cherry Bounce! Based on Martha Washington's recipe, Cherry Bounce is the perfect holiday beverage. Made with fresh cherries, spices and rye whiskey, bourbon or brandy, this drink is an American classic. Wash cherries and pat dry with a paper towel. Discard any with major bad spots. Pit the cherries and remove stems. 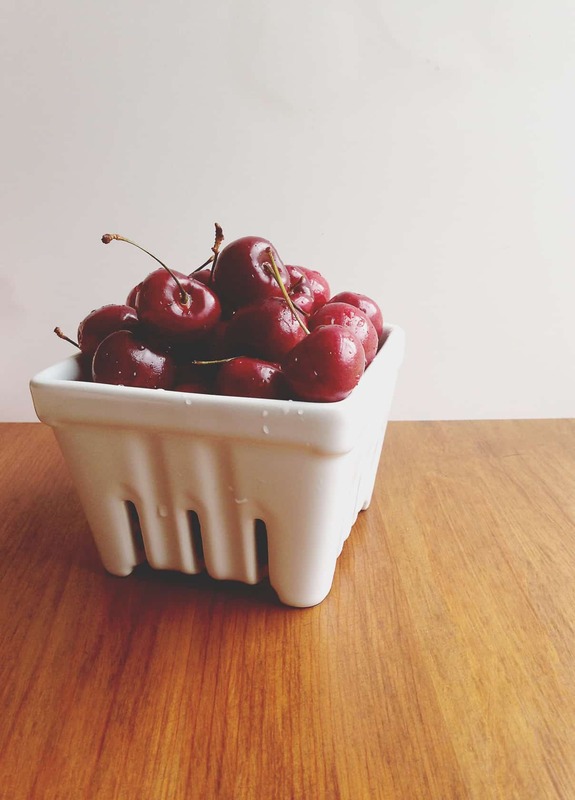 In a large saucepan, combine cherries, sugar and lemon juice. Stirring occasionally with a wooden spoon, bring to a simmer over medium heat. Still stirring occasionally, reduce heat to medium-low and continue to simmer for 20 minutes. Remove from heat and let cool completely. Divide cooled cherry mixture (including cherries) into 2 clean quart-size glass jars. Add whiskey. 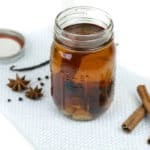 To each jar, add 3 cinnamon sticks, 3 whole cloves, 1 star anise and 1/2 teaspoon freshly-grated nutmeg. Secure the lids. Store in a cool, dark place for 3 to 6 months. After opening, the cherry bounce will keep for 2 months.